The fact that paper and butterflies both have temporary characteristics was a reason to make the collection ‘Butterfly’. It inspires me that a butterfly is so vulnerable and at the same time powerful in its appearance with their brightly coloured wings. 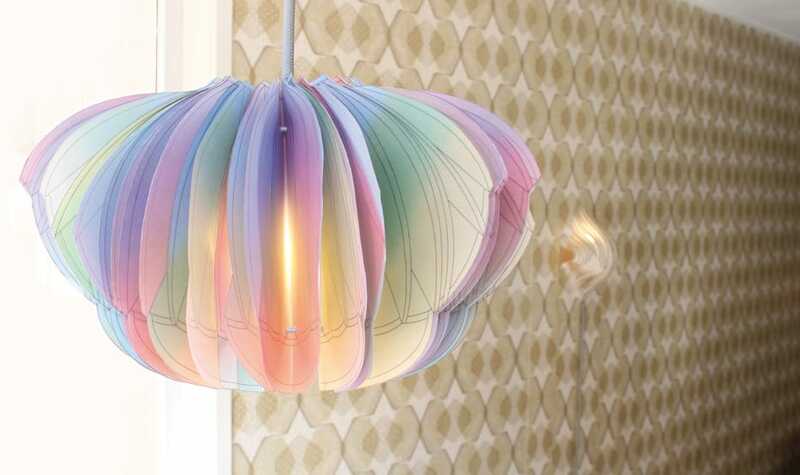 This idea is translated into a suspension light with the shape of flowing rhythms of coloured leaves. All the single transparent leaves together form a larger silhouette, modified with a soft and delicate pattern that further accentuate the shape.